UPDATE!! The Brown trout are in the river! 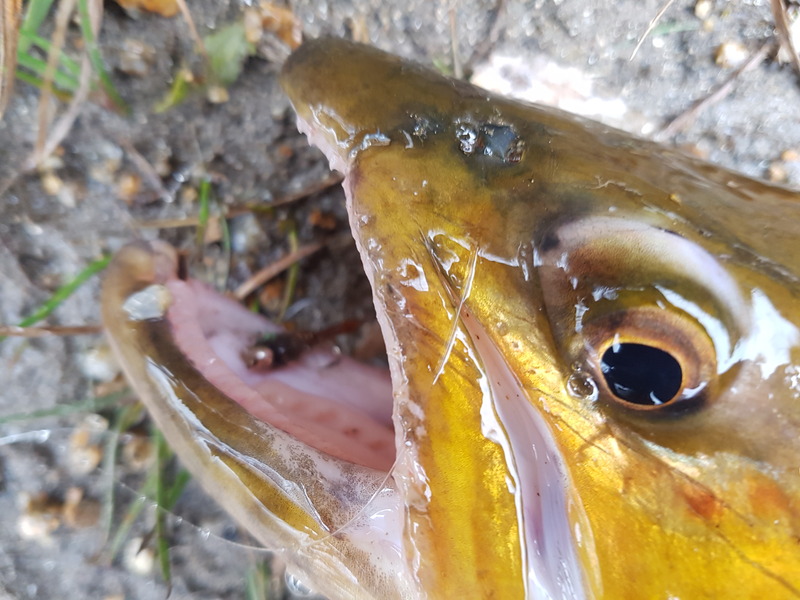 After a good down pour of rain last weekend, we are starting to see the annual pilgrimage of spawning Brown trout move into the rivers around the region. 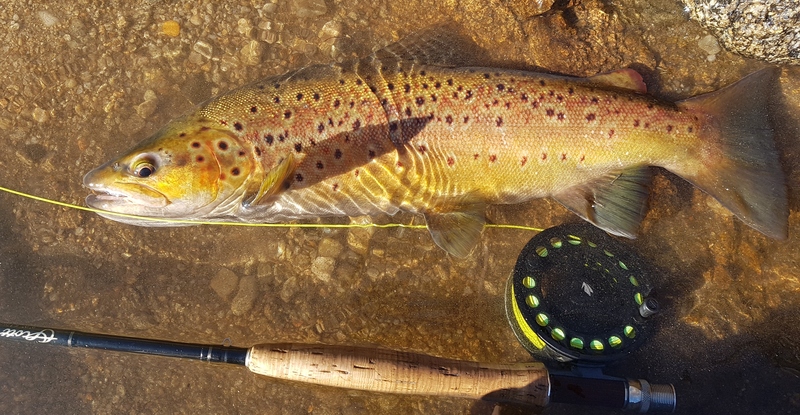 It has been a little slow to start and with not much rain forecast for the next few weeks the fishing is going to be a little tricky, however if you hold your ground and persevere you will be rewarded with some very good conditioned fish. 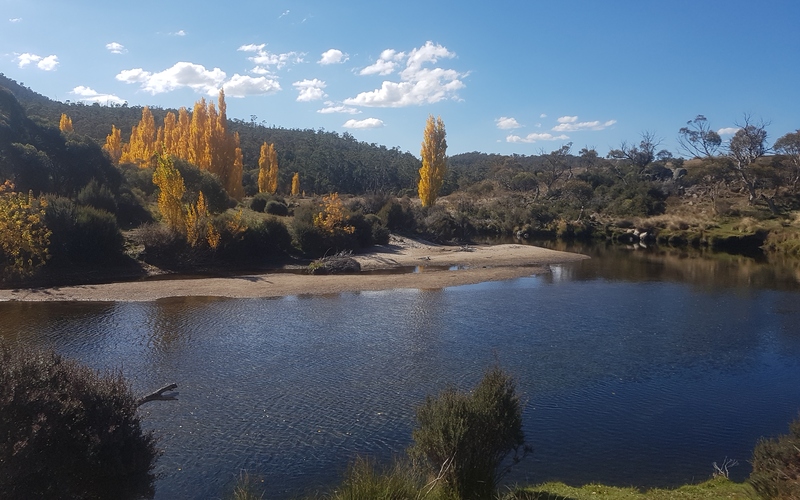 The Thredbo has seen a greater run of fish than the Eucumbene at this stage, however things can change in a matter of moments. The next bit of rain should see a greater number move into the river system. Whether you are a fan of this style of fishing or not there is no doubt it can be a very exciting way of catching a trophy sized fish that would normally be much harder to hook. Please remember if you are going to fish the spawn run, these big fish a the future of our fishery and should be treated with great respect and care. Minimal handling and returning them to the water as soon as you can (after a photograph of course!!) will help ensure that we have a great trout fishery in the future. Also, this season has seen the new fence/gate erected at Denisson to restrict anglers driving their cars across the spawn beds and also to ensure all anglers can enjoy this annual event. Please respect other anglers and the environment so everyone can have an enjoyable and memorable experience. Both Lake Jindabyne and Lake Eucumbene have been fishing a little slow from the edges, with most productivity happening from the boat based anglers in the deeper water. As winter draws nearer, and the temperatures of the lake start to cool, we should see some great shore based fishing from both the lakes. Night and early mornings will be the best time to patrol the lakes edges. We are starting to wind down the river fishing season and have some great specials on rod and reel combos. we also have one of the best ranges of flies in the area! come on in and say G’day! !